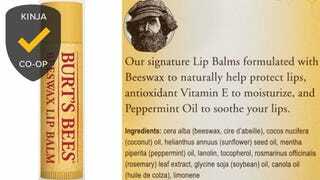 After a record number of comments, nominations, recommendations, and votes, Burt’s Bees is your choice for best lip balm by a wide margin. Burt’s is far from the only great option though, so check out the top seven contenders and hundreds of nominees if Burt’s doesn’t suit your needs. What&apos;s the Best Lip Balm? Once you’re moisturized, tell us what you’d like to see a vote on next.